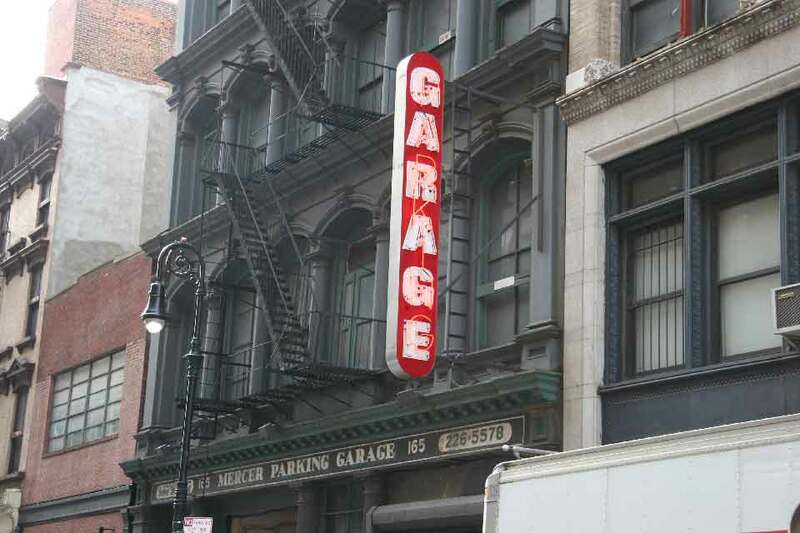 The garage at 165 Mercer St., Soho, was listed as One Sixty Five Mercer Garage Corp. in the Manhattan telephone directory from 1975 to 1990. In 1991 the name changed to Mercer Parking Garage Corp. This name has been retained until the present (October 2014). There was a garage listed as Mercer & Greene Street Parking Corp. nearby at 94 Greene St. from 1966 to 1971.